The past quarter experienced year-over-year growth in subprime originations for auto loans, credit cards as well as personal loans. The trend may be indicative of a strengthening credit market after several quarters of declining originations. In its latest Industry Insights Report, TransUnion  examined consumer credit trends around personal loans, auto loans, credit cards, and mortgage loans through the third quarter of 2018. In its Q3 2018 IIR mortgage loan summary, the report revealed that mortgage balances increased while delinquencies recorded a steady decline. Mortgage originations dropped by 0.4 percent year-over-year, continuing the decline in originations since Q2 2017. A consistent improvement was recorded in consumer-level delinquencies with a drop every quarter since 2009. In Q3 2018, delinquencies dropped to 1.7 percent from 1.9 percent last year, as a result of drops in the near-prime risk tier, where delinquencies dropped by 15 percent year-over-year, and the subprime risk tier which declined 9 percent year-over-year. Seattle, New York, and Boston experienced the largest declines in delinquencies while Houston, Dallas, and St. Louis experienced the smallest declines in delinquencies among the largest MSAs, according to the report. “The decline in mortgage originations is likely the impact we’re seeing from a combination of rising interest rates, steep home prices appreciation, and limited starter home supply. On the refinance side, as interest rates rise, many consumers will no longer have an incentive to refinance their mortgages. 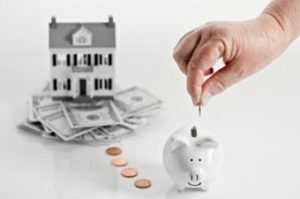 On the purchase side, those rising interest rates coupled with rising home prices lead to a ‘double whammy’ for consumers interesting in ‘moving up’ into a more expensive home, leading many to decide to stay in place. This in turn puts pressure on starter home supply. This trend will likely continue into the near future.” said, Joe Mellman, SVP and Mortgage Business Leader at TransUnion. The report found that origination growth in the subprime risk tier grew at a significant rate across auto, personal loans and credit cards following declines in 2017. Subprime originations in personal loan category grew 28 percent between Q2 2017 and Q2 2018 compared to the annual decline of 7.1 percent the previous year. New loans were issued to subprime consumers by independent lenders in the auto sector with an increase of 7.3 percent year-over-year post the 7.8 percent year-over-year decline in Q2 2017. The subprime risk tier origination recorded growth of 3.4 percent year-over-year, representing the largest volume of subprime loans originated in the second quarter post-recession. Credit cards observed a year-over-year growth first time since 2016. Subprime, prime-plus and super-prime risk tiers also recorded an increase. The report attributes this trend being followed industry-wide to lenders providing more access to credit cards with smaller credit limits.